The national president of Britain’s Merchant Navy Association and a veteran five-star traveller, Vivien Foster rates her Maui adventure as one of life’s great luxuries. There's a saying: 'Adventure before dementia'. So when my daughter suggested a campervan trip, this saying sprung to mind. Being retired and, quite frankly, enjoying the comforts in life, I have to admit camping does not conjure up large comfortable beds, luxurious warm showers and kitchen conveniences like home with none of the packing and unpacking and setting up from place to place — so I was in for a real treat and a total surprise. As coincidence would have it, Her Majesty Queen Elizabeth had given her seal of approval for campervans just the week before so if it's good enough for HRH, it's good enough for me — and I now know why. It is like taking a cruise on wheels. You board your cabin, unpack and set sail on a voyage of discovery to experience and explore in comfort. Granny Gin Gin (me), my daughter Penny and my two grandsons Joe (4) and Jake (2) were all very excited and chose our adventure playground to be the Coromandel Peninsula. 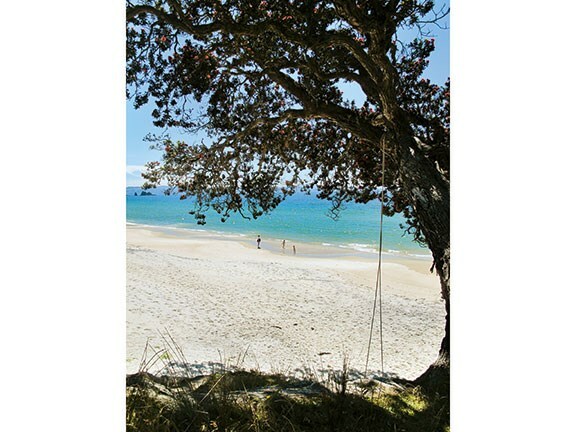 It was a wonderful choice as, although I have lived and worked in some very special places throughout the world, there were times when North Coromandel took my breath away. It is hard to believe beaches like these still exist in our much-inhabited world. Divine isolation among stunning scenery, without snakes! Surely a taste of paradise itself. Our luxurious motorhome — dependable, reliable and easily managed in such wild uninhabited places — was like a five-star hotel. We were self-sufficient and had all we needed without assistance from the outside world — totally wild, free and absolutely fabulous. Such an adventure! At times it was like being Tom Hanks in Castaway, but with all mod cons! Surely this was a perfect childhood memory for two little boys. 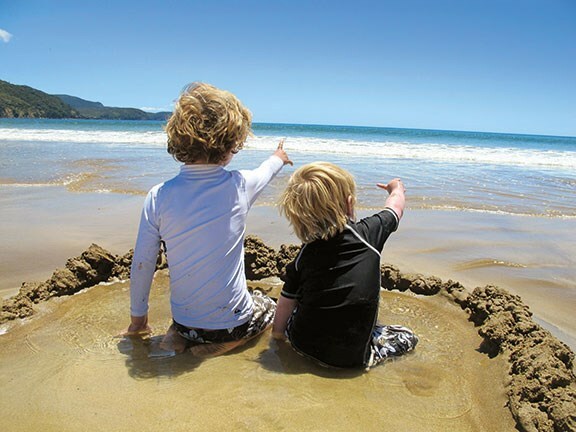 Our journey — a real road test for the Maui — took us up the east side of the peninsula and through Thames where, more by good luck than planning, we were unexpectedly delayed by the Christmas Carnival — a thrilling treat for two little boys in the weeks leading up to Christmas. Our first planned stop came as a recommendation from the Waiheke Island plumber who had visited Foster's farm as a child. He remembered its rural charm fondly and said it hadn't changed! With sheep, cattle and chickens, the place was hardly touched by a modern world. 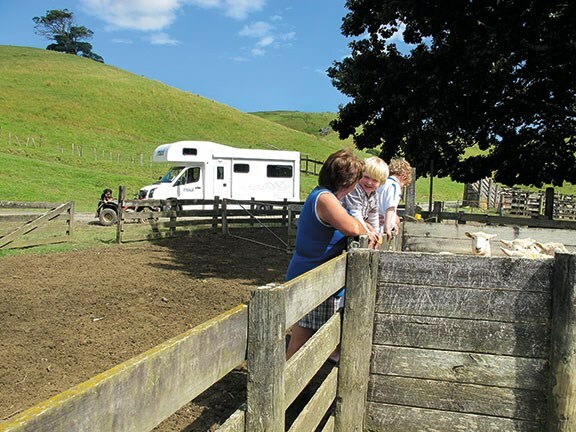 Not only was the farm a step back in time, it was also a real test for the off-road capability of our mobile home. Although this beach was a shingle beach, its situation was spectacular — a bay nestled in the foothills. We could roam free around the farm which was a real treat for the little fellas, with chickens greeting us for tidbits around our base. Farmer George showed us the sheep-shearing shed which was like something out of the Thornbirds circa 1930s and still working efficiently, displaying a real test of time. There we were, parked up in 21st-century luxury amongst it all. Foster's farm was a great start to our adventure. 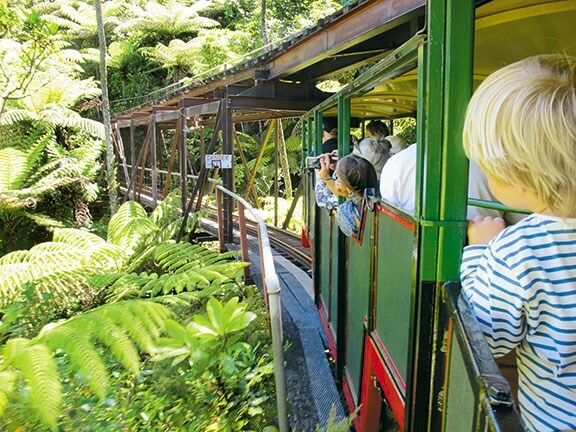 Next we decided to head for Waikawau. We were told it was very remote but had a spectacular beach, and getting to it was partially dirt track. Having tested our Maui's off-road ability we were quietly confident and, of course, it performed perfectly — although at times the road was very narrow. 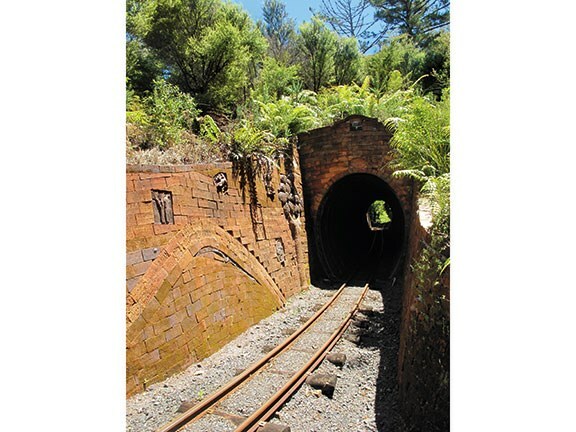 We went via Coromandel itself and stopped to visit the railway line up a mountain, before driving through more spectacular scenery until — wow! Oh my goodness, we arrived in paradise. I could hardly believe my eyes — a full crescent beach with turquoise sea, white sand and not a soul in sight. Divine isolation and total freedom. Penny caught a big fish from the beach and we walked, played and explored. Begrudgingly we left after two days to continue the adventure. 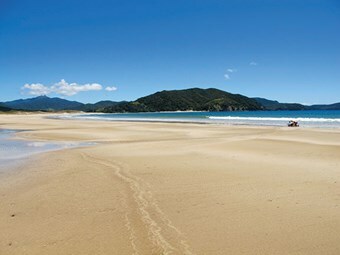 Next stop: Otama Beach. It didn't disappoint. We found a small isolated campsite close to another beautiful beach with a warm lagoon and had fantastic, childlike fun. There was a really welcoming 'hippy' cafe in the village offering al fresco dining with delicious pizzas cooked in their open-fired oven — a real treat. Next up, also recommended, was Hahei — quite different than our previous stops, offering excellent facilities for campervans but still holding its charm. We could empty the tanks, refill our freshwater stores and hook up to recharge. There was a playground, BBQ facilities, an open kitchen, a laundry and huge hot showers. Additionally, the boys could run riot on their bikes. The beach was lovely and there were seemingly endless tourist activities should they be required. While here we ventured a trip to Hot Water Beach, which was amazing despite being well occupied. Lots of fun and in the unpretentious café we enjoyed the best snapper and chips we'd ever tasted. 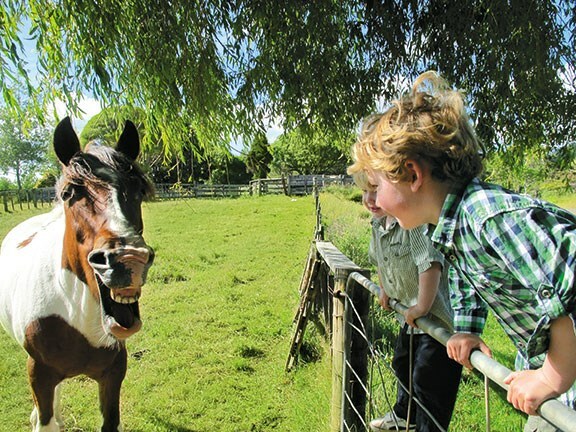 New Zealand surely is one of the most wonderful places in the world — especially for children to experience 'childhood'. It's a must-visit for people who are looking to escape from the over-commercialised and over-populated parts of the world. 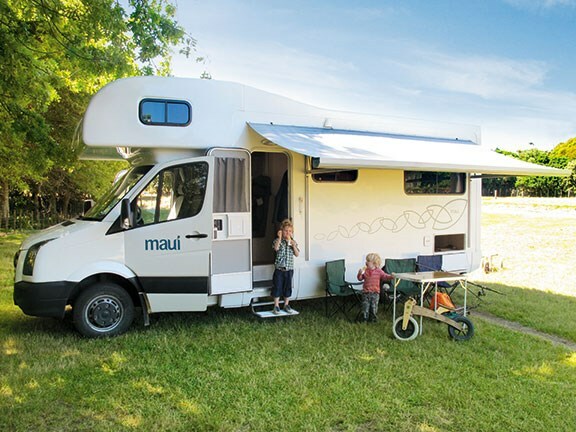 I can thoroughly recommend a Maui campervan. You get all the fun of adventure without the hardship. I am a total convert.